We are going all out on this one with a three titled book review all by the wonderful Ruth Thorp!! First up we have The Squawks! Written and illustrated by Ruth Thorp. Now, at Book Monster HQ, I’m am quite partial to feeding the birds, and at certain times of the year it’s like party time for the squawky birds in the garden! The starlings in particular, are constantly screeching and squabbling among themselves. So when I read The Squawks by Ruth, I was chuckling away being reminded of these fantastic birds. This book doesn’t tell a story as such, but takes us on a exploration of Squawks and all of their wonderful personalities. The words in the book rhyme beautifully, and reflect the quirky character of the birds as they somersault across the page! You can interpret this how you like, is it the tale of real birds? Or some mythical birds who really wear hats and party all night, or even a representation of humans in bird form? Whatever you do or don’t read into it, it’s just great fun! The words frolic across the pages, dancing like the birds in the book, and have just as much personality. The simple clean illustrations are clutter free and compliment the words incredibly well. Each bird contains so much movement you can almost feel them flapping across the page! There is a lot you could do with young children with this book, from counting the birds, pointing out their hats, exploring the colours and even perfect for children learning “QU” for the first time. 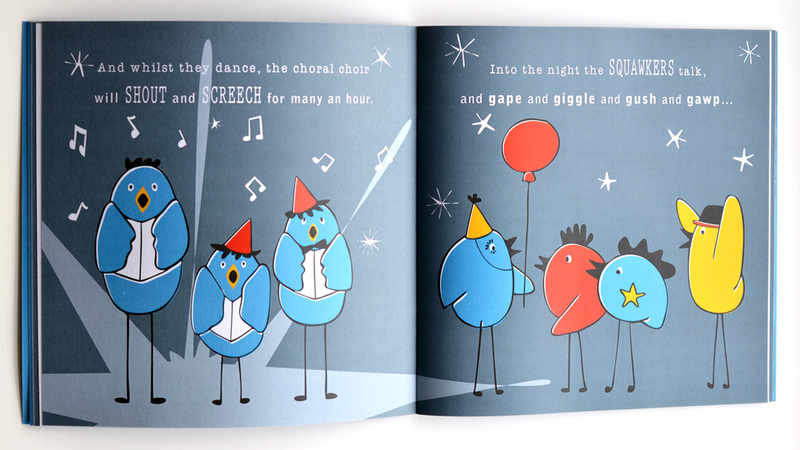 But in truth, The Squawks just a whole bundle of fun and energy to read! 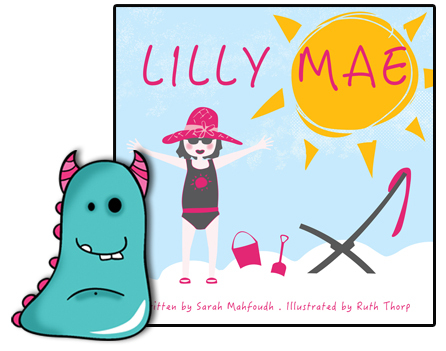 Our second book in this little group is Lily Mae written by Sarah Mahfoudh and illustrated by Ruth Thorp. This is a fantastic introduction to weather for young children. Lily Mae is a child who lives upon a cloud high in the sky. She conjures all sorts of different weathers depending on her mood. The book takes us through all of these different weathers from sunshine to thunderstorms, snow and wind. Again, this book has a wonderful rhyming flow to it, beautifully written by Sarah, it speeds us through each weather expertly, with fantastic explanations of each system that children will understand and identify with. Ruth’s illustrations support the words perfectly. Big, bright and bold they are wonderfully clear and would make teaching children about the weather, not only easy, but a real pleasure. 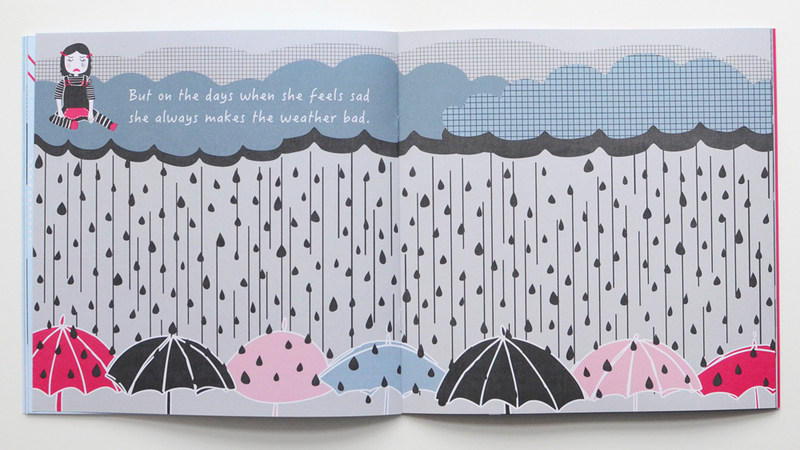 The weather reflects Lily Mae’s mood, and this just adds another dimension to the book, and would be a perfect way to carry on discussion each day, by asking children what mood Lily Mae might be in today and talking about the weather with them. I can see so many uses for this in a nursery or reception classroom. Also great for supporting children who might be a bit frightened of certain weather, such as storms. It gives reasoning and reassurance that it’s harmless. We are often asked in the library, for books about weather, and it’s very difficult to track down either a book that covers multiple kinds of weather, or books that show it in a clear and simple way. Lily Mae achieves both of these things. I would certainly recommend it to customers in my library for this purpose. Really wonderful. 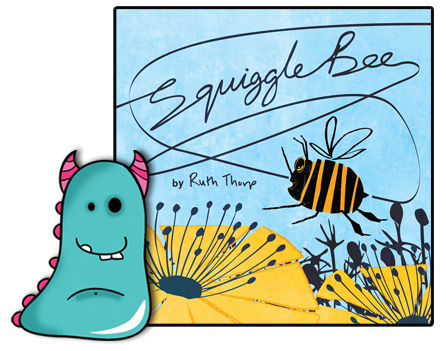 Finally, the latest release written and illustrated by Ruth Thorp, Squiggle Bee. Squiggle Bee is quite self explanatory really, it tells the story of a little bee who can’t seem to fit in with her bee friends due to her wiggly squiggly flying technique. She gets teased by the other bees, until she ventures off on her own squiggly journey to find a home where she fits in. The writing in this story is a mixture of rhyme and non-rhyme, which is really nicely done and works really well. It’s has a rhythm to it that almost matches the squiggly little bee herself. The story is ever so sweet and endearing and again would be perfect to read to little children. Ideal also for getting them to act out and dance along to the story! Ruth has excelled herself with the illustrations in this book. 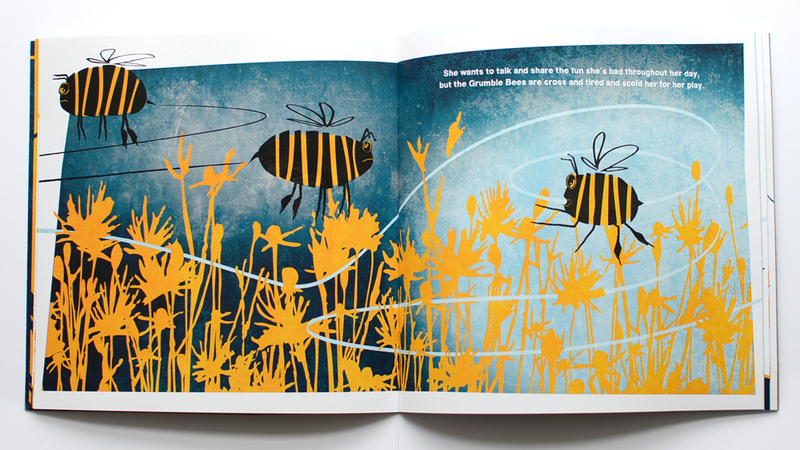 There is a new depth of colour and interest that gives a powerful feel of the different places the little bee visits. Like her previous books, the illustrations are still bold and bright, but this time with more depth and interest on each page, a work of art! There’s a constant squiggly line that goes through the book which would be fun to trace with young children’s fingers, and at the end they are encouraged to count up all the bees on the page. It’s really nicely interactive. Like Lily Mae, this book has an educational element, but it is more subtle, at the end of the story is a lovely small piece about the bees and why they are so important to us all and why we must work to save them. It’s lovely and another prompter for discussion and extra research with children. 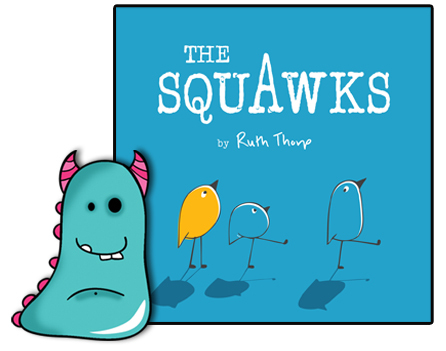 Ruth Thorp (along with her sister for Lily Mae) has created a fabulous trio of gorgeous little books that are educational, but fun, feisty and unusual too. 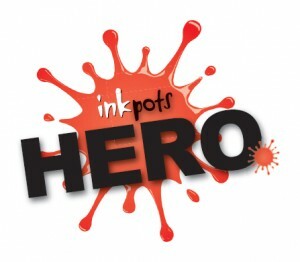 They would make great additions to schools and libraries and a fab gift set. 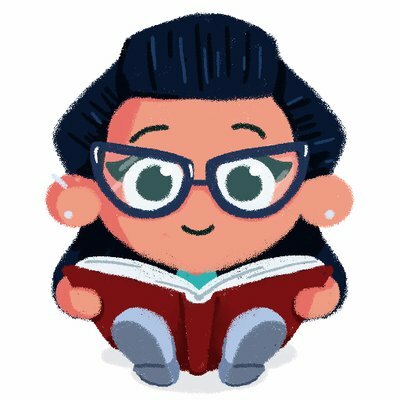 I certainly wish her a lot of success with these lovely books and look forward to seeing more in the future. Thanks for twirling through this Book Monster review!